Today was update-time for my FreeBSD machines. 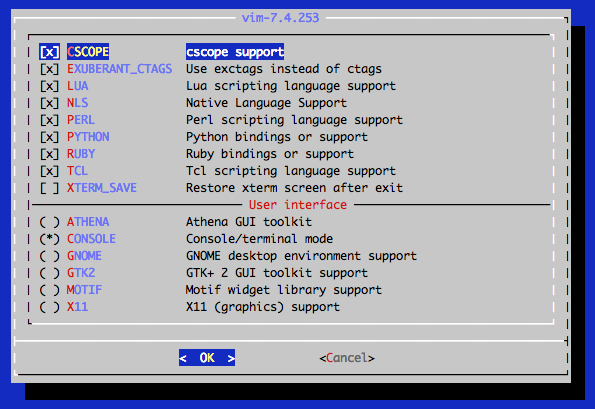 editors/vim required some changes to the options. However, "make config" did not open the usual config dialog.